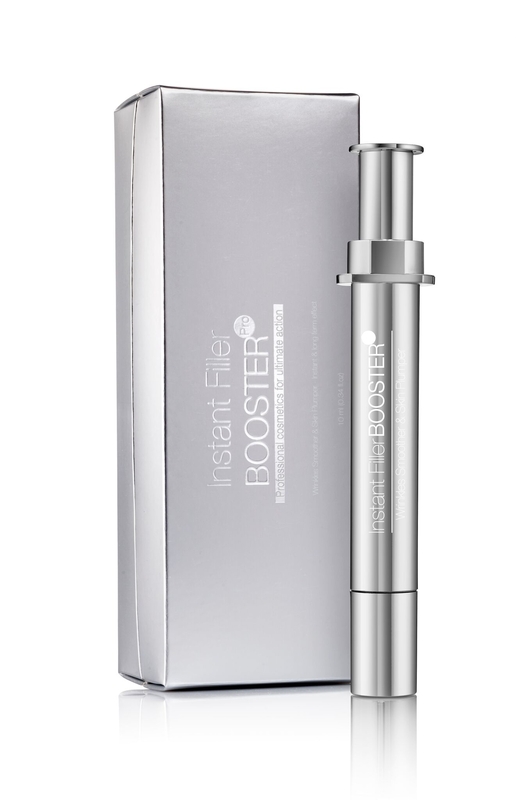 Booster PRO brings you a technologically innovative cosmetic product for instant coverage of age-related visible signs while gradually improving the appearance of fine lines and wrinkles. The innovative formula combines high levels of active and unique ingredients, including Hyaluronic Acid, Peptides, Retinol and Evening Primrose Oil, a rich source of Gamma Linolenic Acid (GLA), and Omega 6 fatty acids essential for a healthy-looking skin. Primrose oil maintains skin hydration and promotes elasticity. 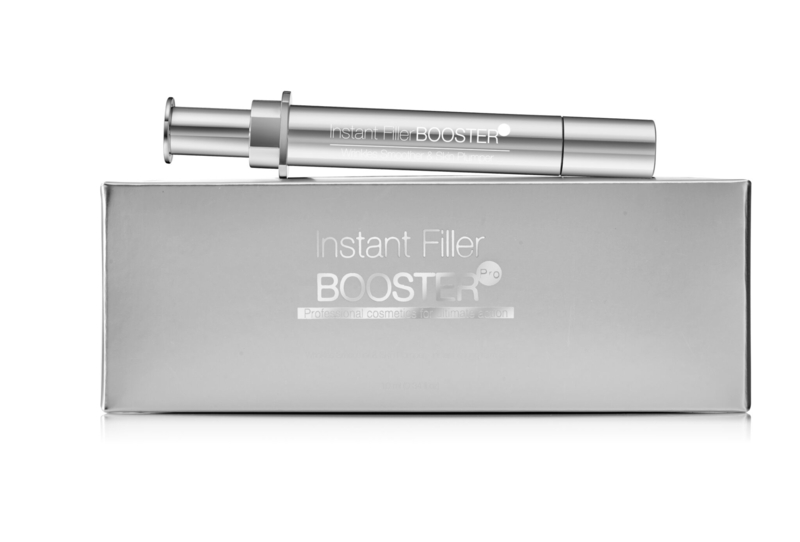 The formula boosts collagen production and fills wrinkles from the inside for a visibly smoother and plumper skin. Enriched with pure Shea Butter to help your skin look firm and young. Directions: Wash your face thoroughly and apply your daily moisturizing cream. Squeeze a small amount of the cream onto the desired area where you wish to fill in and conceal wrinkles. You need only a small amount as it is very concentrated; avoid over-application. Use your fingertips to gently pat cream over the area for better absorption. Do not apply the cream with circular movements. 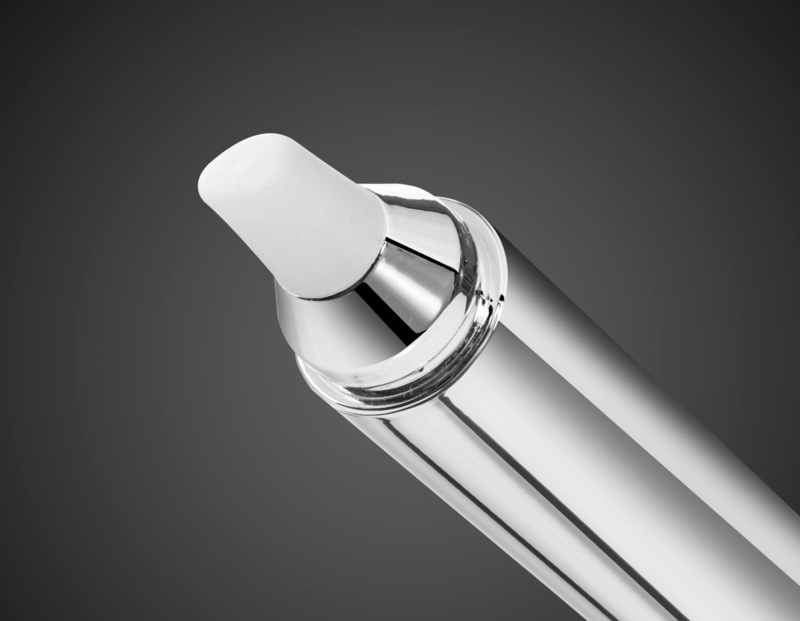 Allow the filler to set for two minutes before applying your makeup. Ingredients: DIMETHICONE, PHENYL TRIMETHICONE, CYCLOMETHICONE, VITIS VINIFERA (GRAPE) SEED OIL, HDI/TRIMETHYLOL HEXYLLACTONE CROSSPOLYMER,BUTYROSPERMUM PARKII (SHEA) BUTTER, HYALURONIC ACID, PALMITOYL TIPEPTIDE-38, RETINYL PALMITATE LAURETH-12, SILICA, ALUMINUM STARCH OCTENYLSUCCINATE, IRON OXIDES (CI 77491,77492,77718), OENOTHERA BIENNIS (EVENING PRIMROSE) OIL, PHENOXYETHANOL, KAOLIN (CLAY), ALLANTOIN.